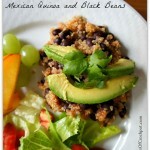 For some reason I am obsessed with the Mexican Rice and Black Beans that I made last summer. I could eat it for breakfast, lunch and dinner all by myself until it’s gone. I decided to keep the recipe pretty much the same but swap out the brown rice with quinoa (you could also use orzo). It turned out wonderfully! I sliced up some avocado and enjoyed this until it was gone. This is a wonderful light summer recipe that I paired with a fresh fruit salad and a green salad. Yum! I will definitely be making this again. 5 stars. Add beans, quinoa (or orzo), water, salsa, bay leaf, cumin, salt and garlic to the slow cooker. Remove lid and fluff quinoa with a fork. Remove the bay leaf. Add in fresh lime juice to taste and salt and pepper to taste. Serve topped with sliced avocado. If you’d like to see a video of this recipe click here. Do you like quinoa? 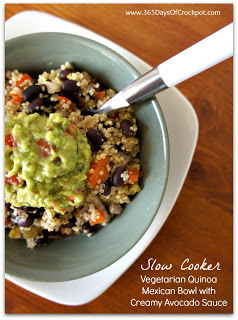 Try these other quinoa recipes too! 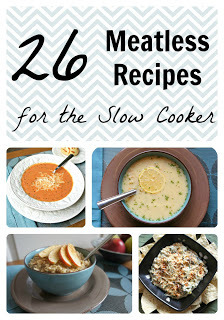 Looking for more slow cooker meatless recipes? Check out all 26 here! This was soooo delicious! My husband and neighbor, who was over, both raved! I was able to disguise a healthy meal, thank you!!! Yes! I love this one. I was just thinking about it yesterday. I made this yesterday, it tasted good but it had to much water. They are canned black beans so they are cooked through. These are not dried beans. Good luck! Black beans are canned, so they are basically cooked. 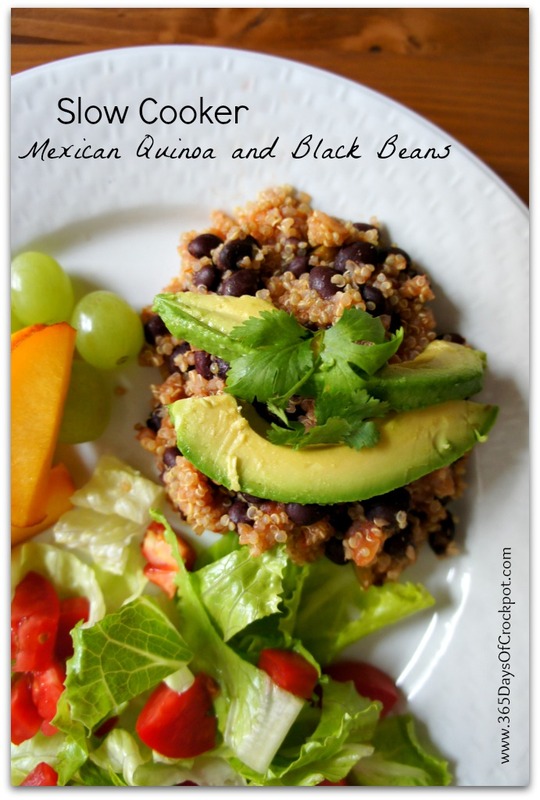 are the black beans cooked or uncooked when they go into the crock pot? We've made this several times in the last few weeks, its become a favourite in this house, love the recipe, thanks!!! Holly, probably about 4 hours! Hi Karen, if I cooked this on low, how long do you think I would need to cook it for? MP, so glad it worked out for you. I love salsa verde! I'm going to have to try that for sure! This recipe is fantastic! Thank you for sharing. We had it this evening with salsa verde (because thet's what was in the house) and a nutritional yeast "cheese" sauce. 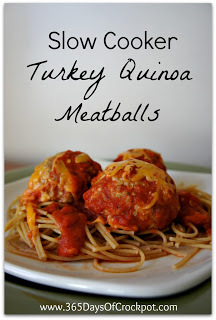 DELICIOUS — Soo good I can hardly wait to have leftovers for lunch tomorrow! Very good, half the recipe because I used a small slow cooker. I used the left overs in my omelets and will make it again. Wow, what a winner! I absolutely love the sound of this one. That is so awesome! Yes, this can easily be made on the stove and adding chicken can make it a meal. Glad it worked out for you! Karen – it was so good! I didn't have time to slow cook it, but since quinoa cooks so fast this was a great option for stove-top tonight. I added a little oregano and some frozen corn too and then topped it with some shredded chicken I had in the freezer. This will definitely be in my rotation and I will enjoy the leftovers for lunch this week. Thanks for the recipe inspiration today!